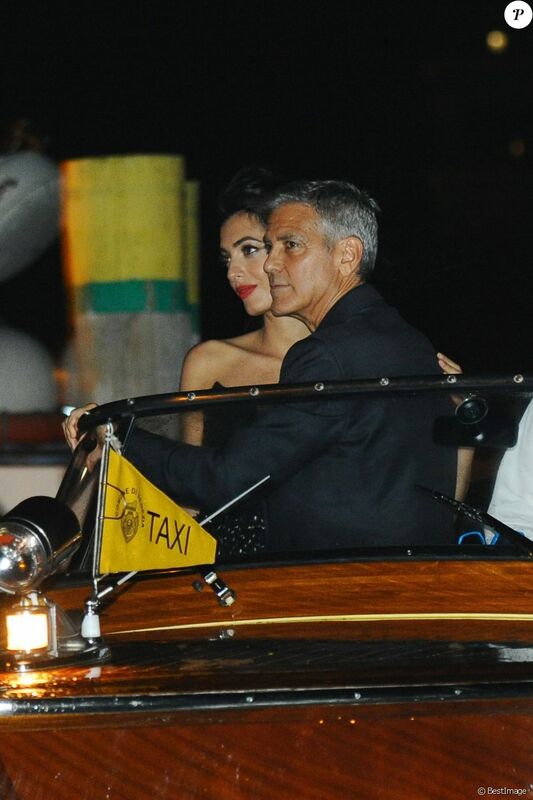 Amal and George Clooney were spotted leaving Hotel Cipriani during the 74th Venice Film Festival on Thursday, looking amazing in their formalwear. 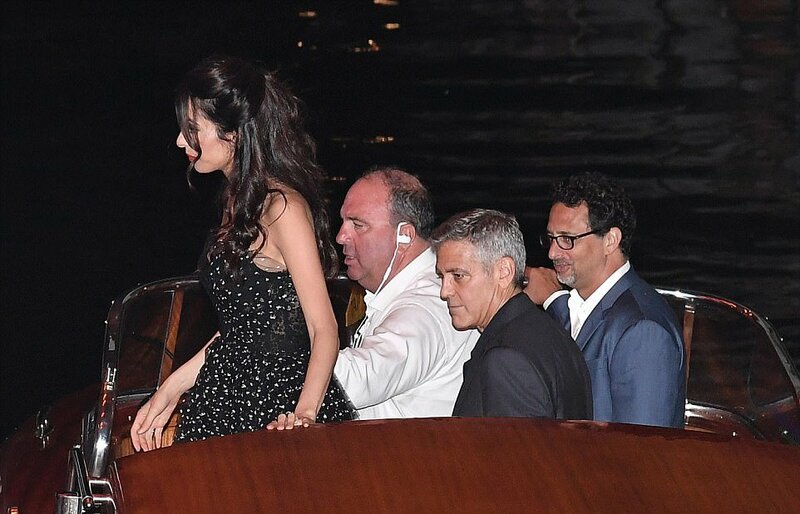 Amal stunned in a strapless black polka-dot Ermanno Scervino dress and blue high heels by Giambattita Valli, while George was sharp in a perfectly fitted suit. Shame there is no eye contact between these two. You are right. The Face is much more beautiful than before. Something has been done. That something that’s been done to her face is a couple of extra pounds, which suits her. Her face definitely looks different – whether it’s just the additional baby weight or something more cosmetic … she looks suspiciously freshen up and just overall better looking. And to the commenters that say that she didn’t – have you been around women with means who tweak their face? I do. It’s usually very subtle and it’s not necessarily surgery sweetheart it’s small proceedures done over time. So go back to the Church of Amal and lay that prayer by her shrine. I truly believed Amal had delivered twins. These pictures from Venice and her choice of dresses make me think I was fooled. I feel so stupid. 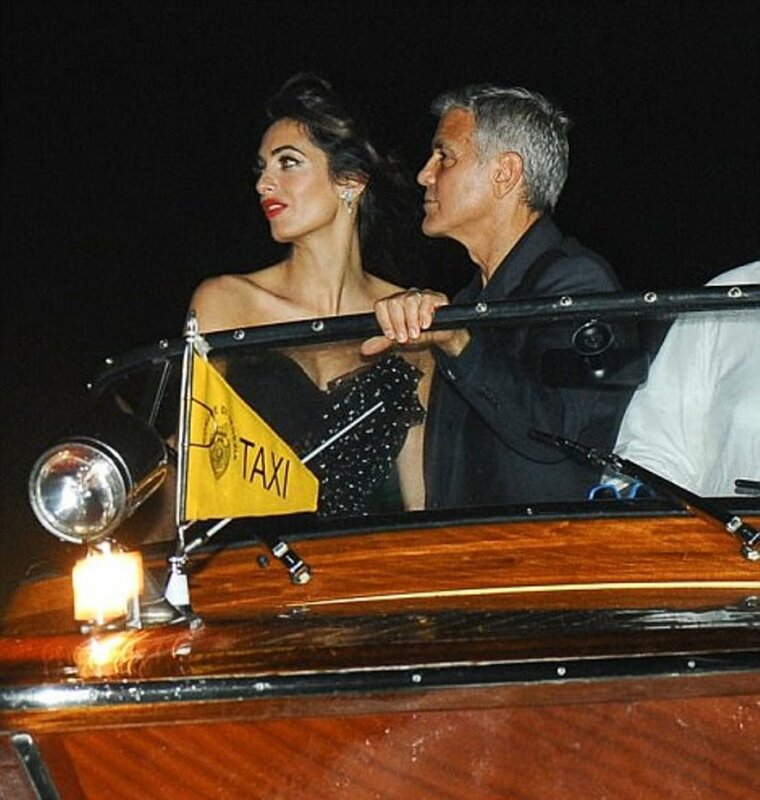 Hollywood in Venice at its best, what a couple! AC looks fantastic, I love her look from head to toe. The fashion queen is back :). On some pictures her nose looks less prominent. I must say I don’t like this dress- I can’t get a good sense of it, even on the runway. I am not a fan of the changing bust panels, or the various cuts and assymetry to the hem. I like the dotted print though. But this dress just has too much happening for me. Amazing amazing everything head to toe! I am in love with the fact she changed her hair for this look such a great choice I love this dress it reminds me of the old edgy quirky amal and I must say she wore the dress better than any model -stunning Lebanese beauty George hit the jackpot seriously I love this woman!!! Why is/does being Lebanese make her better? I don’t understand these comments. What if I were to say, oh, a good White Caucasion beauty? 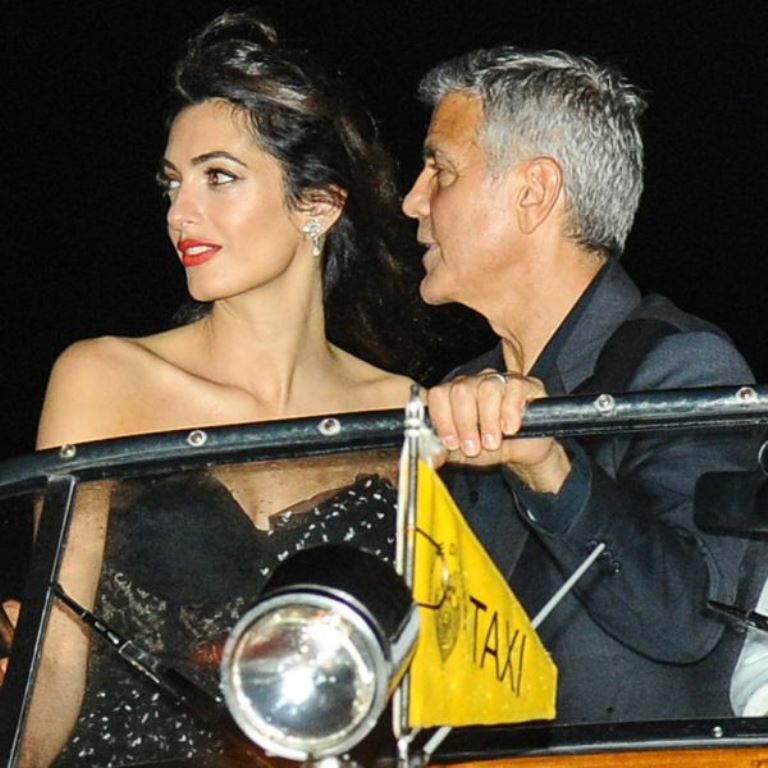 George hit the jackpot because he found a Lebanese woman you find to be a beauty? I find her rather handsome, than beautiful but beauty and attraction is all subjective. I totally agree with Soos. Great hair, fabulous dress and so couture. 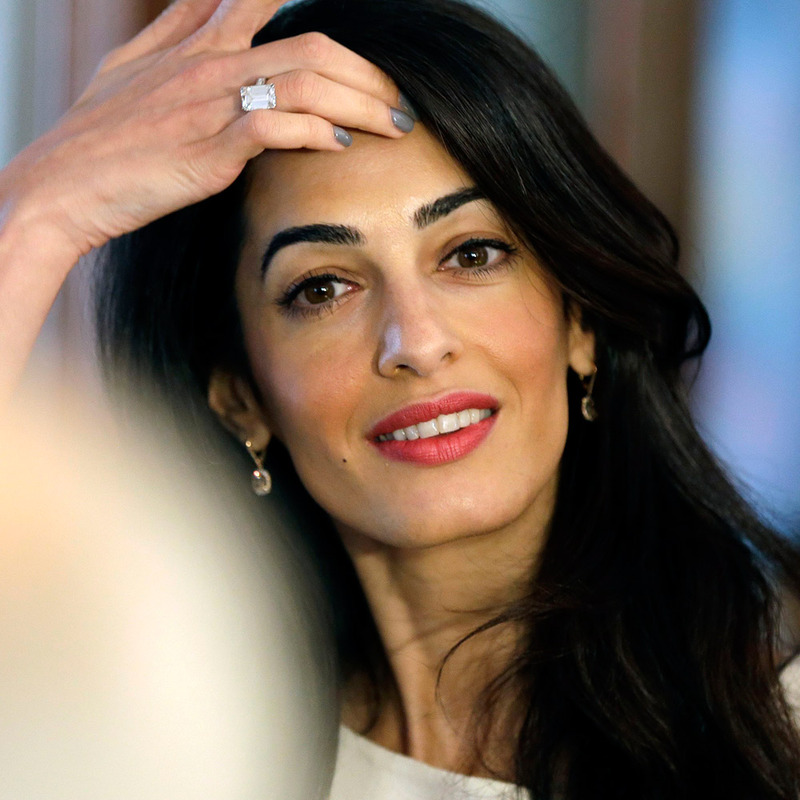 Amal is back, more beautiful than ever. Just looking at this woman makes my day. Interesting dress, and it looks really good on Amal from what I can see of it. It looks very avant garde and I think I love it! George is a lucky man! Good lord! She’s brought her make-up artist and hairdresser to the VFF! For why?? She’s not an actress, she not shilling a film, she’s there solely as the random wife of someone who has a film premiering there. I can like what she wears but her seemingly insatiable need for attention when it’s so not earned or part of her professional life is really disturbing. *preach* At least her PR team instructed her to stop playing with her hair. There is a markedly less amount of photos of her tossing, touching, flipping her hair for the peasants. George did a fantastic job finding a wife who basks in the glory of the limelight. I agree with Soos in her description. 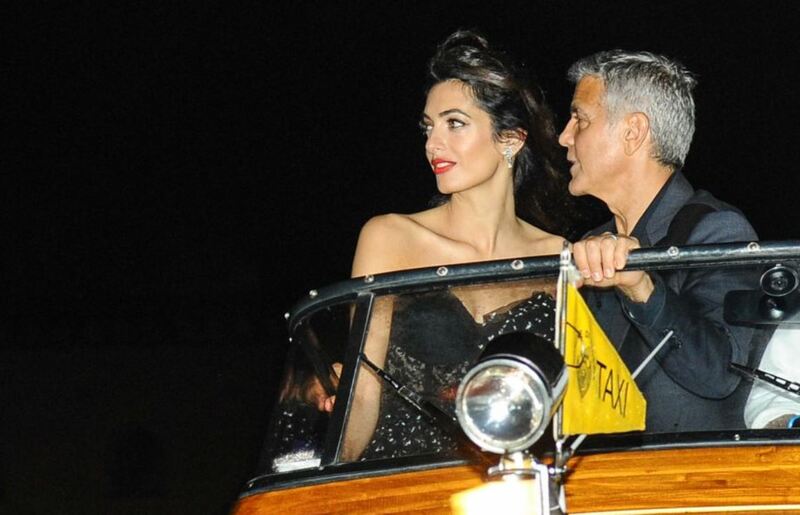 I’m not sure why there were so many duplicate photos but I think Amal looked just terrific. I would bring a beauty crew to if I was going to be photographed by hundreds of photographers from all around the world. 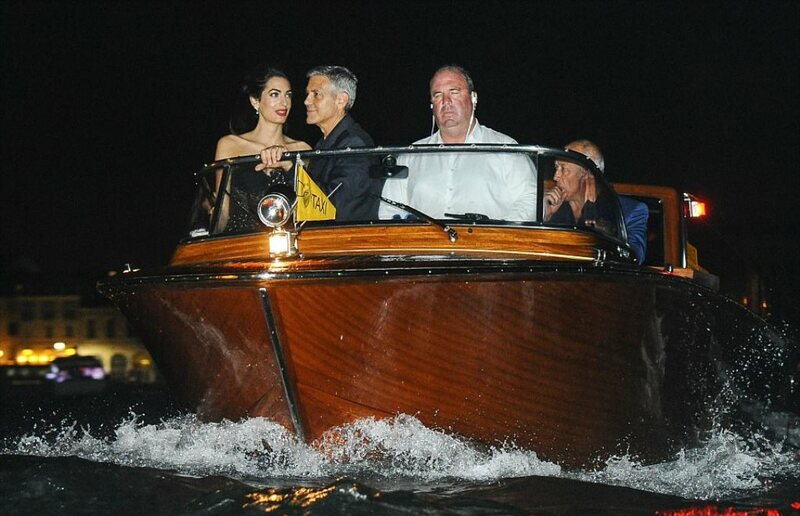 Plus she is now part of the George Clooney brand so she needs to deliver. 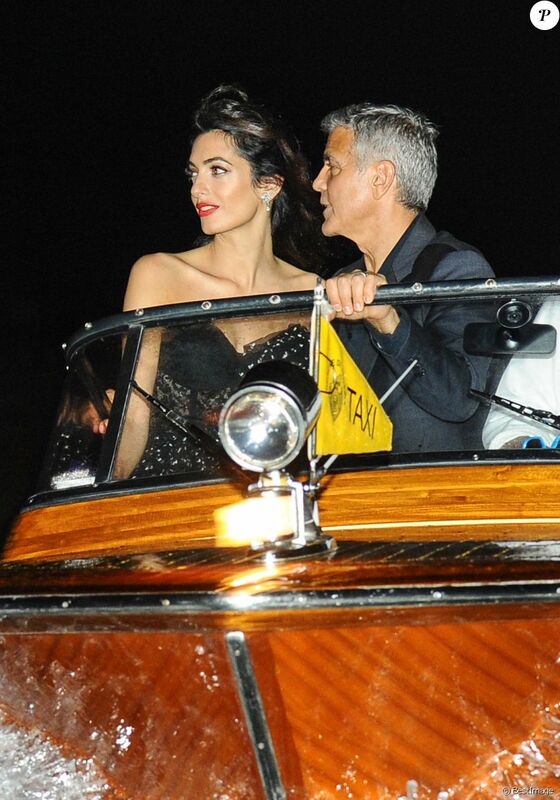 Amal looks gorgeous – everything wonderful, from head to toe, looking like a Vogue advert , e.g. the typical Dolce & Gabbana woman, or an actress going to the Oscars. Posing and acting the part is perfect too. George has aged terribly, especially in last months, looking sickly, downcast, bored, indifferent … not playing the part of the “I am very much in love” husband. 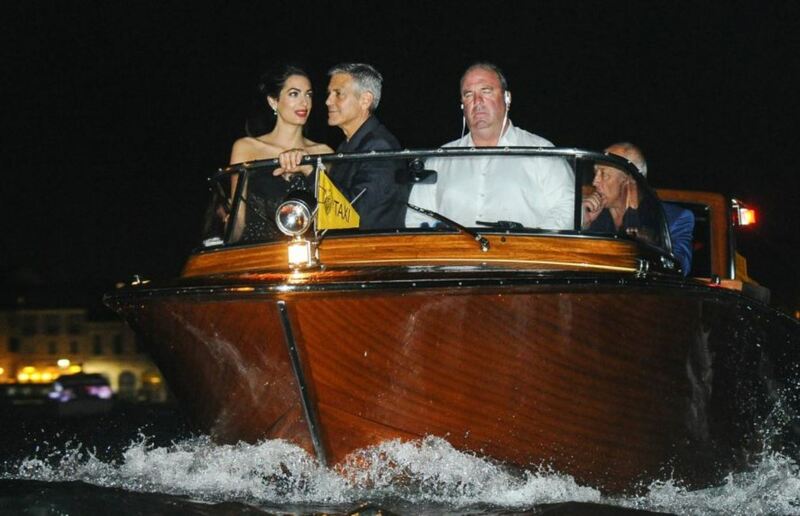 All these Venice pictures give me the impression that Amal is the Hollywood star,and she has taken her dad over with her. I Wonder how long George will like being the average follower because from the few times I met him I know that he is terribly self conscious and he was very aware that he was the star. Now she is stealing the show. Anyway in my opinion she loses totally credibility as a lawyer and she should chose what she is: a serious Professional or a Hollywood trophy wife.. An I’d advise her to goo and see her compatriot Paul Nassif, who is the Hollywood king of nose surgery because her’s is really too long and could be easily fixed if she wants to play the beauty queen. Amal is very brave and asked for justice for the Yazidis. She is better than every movie action actor. I find it rather impertinent to say someone nose ( or feet or what ever) is too long.